As earlier promised, here's some more info on v. 1.1 of the integration between MondoSearch product suite and the Sitecore CMS system, that was released just before christmas. In this second part of my story I will focus on the search itself and the ways it has been integrated. The point of the integration was to integrate not only the search engine but also search analytics, crawler administration into Sitecore, making Sitecore a common user interface for both products. The reason is simple. Although website search over the last couple of years has become increasingly commoditized it's not just something you plug in once, and then expect to have working perfectly ever after. Search is a dynamic thing - like the website it indexes and for the best end-user experience it should be continiusly tweaked and improved to match the expectations of the end-users. The ideal way to do this is by studying the behavior of the users and then optimize both website and search for them (I could talk for hours about this subject, but I'll safe that for another post). 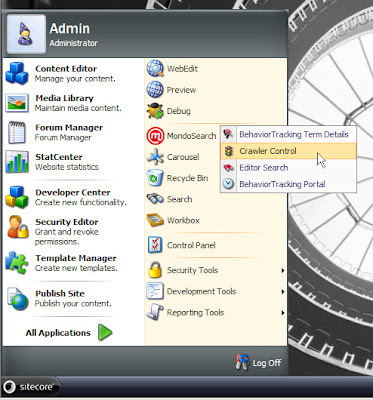 Nevertheless that makes it even more important to make the Search and Behavior analytics easy to use for the webmaster/marketing dept. responsible for a given website - and hence we decided to go for as complete an integration between the products as possible. 3 Search Result Sublayouts, all based on a Search Template. All of the support Sitecore authorization enabling them to only show the results the logged-in user is allowed to see. All the texts used on the templates is defined in the template, so it's easy to translate in Sitecore. The Sublayouts use the standard MondoSearch SearchTemplate technology so it's easy to change look & feel and add functionality. 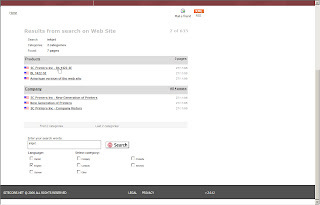 2 SearchBox sublayouts, simple and advanced that can be placed on any layout to enable the possibility to search. 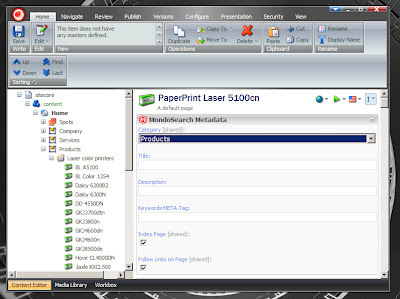 Click Item and corresponding layout, enabling logging and highlighting of search results. A Meta-data xslt rendering for sending item-related meta-data to MondoSearch. A Base template that allows Sitecore items to have fields to hold meta-data for MondoSearch, including Search categories and indexing rules. A Crawler Control XAML application that allows an administrator start and stop the MondoSearch crawler as well as publising crawled databases. This tool will also display the current status of the crawler, crawler log and number of indexed pages. A Sitecore task for starting the crawler so the Sitecore scheduler can be used to scheduling crawls. 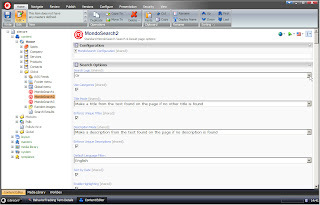 An Editor Search XAML application that allows Sitecore editors access to use MondoSearch to find the items they want to edit. When a result is selected it will of course open in the Content Editor for easy editing. 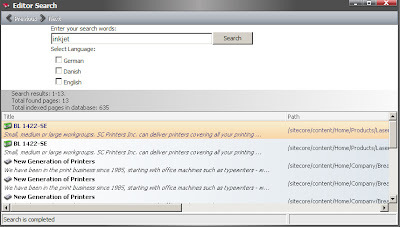 Templates and items for defining Categories used in Search. On top of the integration Mondosoft also supply some coding examples of how to improve the overall functionality on the website. Like this Autocomplete search box that uses frequently searched words as autocomplete suggestions that appear while you type a search query. 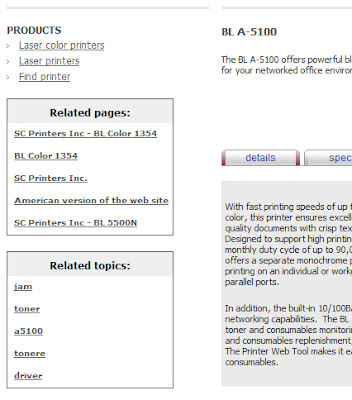 One of the other examples is a "Related Pages" box that will use the search engine to search for other related pages to the current page, and "Related Topics" that will use Behavior Tracking to suggest search terms relevant for the page you are currently on. Now, this was just a brief overview of the "search part" of the integration. In the next post I'll go through all the new cool features the integration adds to Sitecore to track visitor behavior and search term popularity. Later on I'll also show how the it's possible to add SearchHeaders (custom html/sponsored links) to the search results from within Sitecore and outline a couple of ideas I have on how to further improve the overall value of a Sitecore website. The new update of the Integration demo-site is due to be launched any day now and it'll be possible for all interested to try out these features on their own - either on the demo-site, or by downloading the integration. This looks great. Nice integration, and though I've been presented with it in a regular basis, much has happened since last. Nice! I can't help getting a live demo. Let's start the webinars!